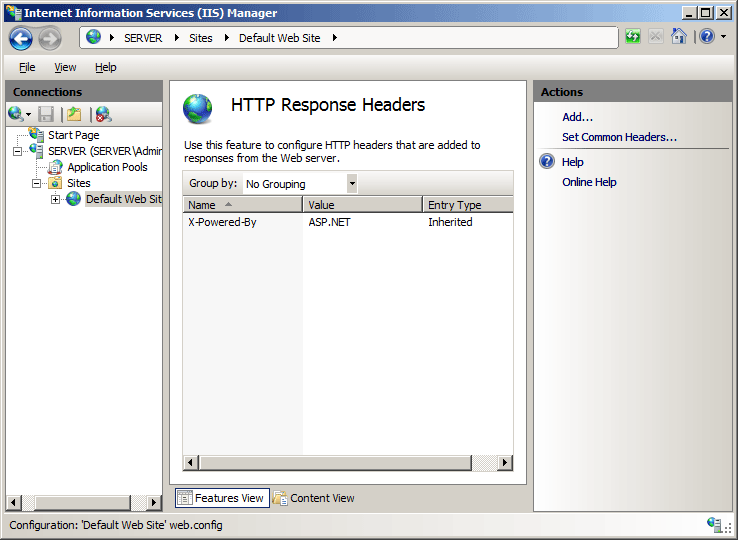 The <clientCache> element of the <staticContent> element specifies cache-related HTTP headers that IIS 7 and later sends to Web clients, which control how Web clients and proxy servers will cache the content that IIS 7 and later returns. To use the httpExpires attribute, you need to set the value of the cacheControlMode attribute to UseExpires. Content that contains a "no-cache" header should not be cached by any entity. 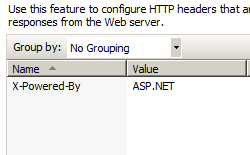 - Content that contains a "private" header should not be cached by a proxy server, but may be cached by a Web client. - Content that contains a "public" header may be cached by any entity. The above list is not comprehensive - there are many additional values that can be specified by the "Cache-Control" header. 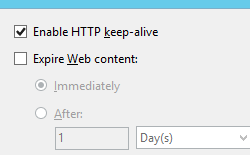 Additional directives can be added to the HTTP "Cache-Control" header, such as "max-age," which specifies the explicit expiration time for content. In IIS 7, the "max-age" directive is configured through the cacheControlMaxAge attribute. While the "Expires" and "max-age" settings are somewhat analogous, the "max-age" directive takes priority over "Expires". To use the cacheControlMaxAge attribute, you need to set the value of the cacheControlMode attribute to UseMaxAge. 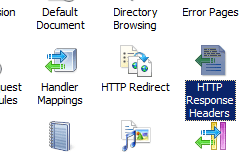 RFC 2616 - "Hypertext Transfer Protocol -- HTTP/1.1"
IIS 10.0 The <clientCache> element was not modified in IIS 10.0. IIS 8.5 The <clientCache> element was not modified in IIS 8.5. 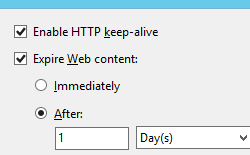 IIS 8.0 The setEtag attribute was added to specify whether the HTTP ETag header is calculated and set. IIS 7.5 The <clientCache> element was not modified in IIS 7.5. IIS 7.0 The <clientCache> element of the <staticContent> element was introduced in IIS 7.0. The <clientCache> element of the <staticContent> element is included in the default installation of IIS 7 and later. 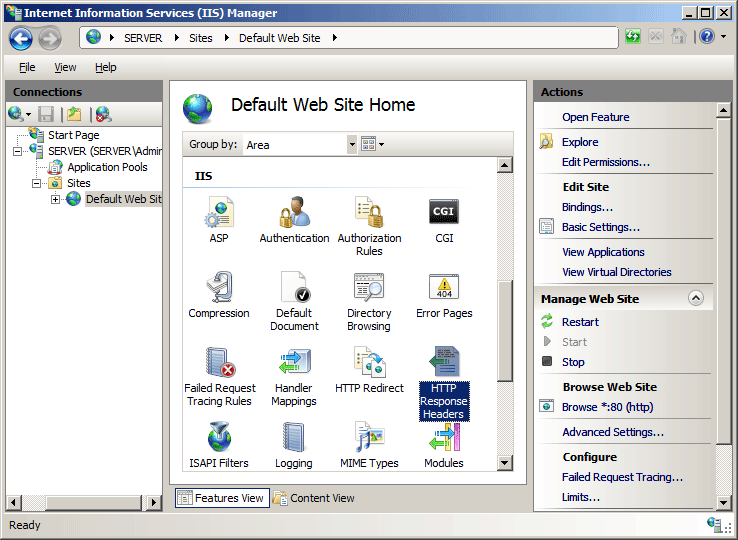 In the Connections pane, go to the site, application, or directory for which you want to disable caching. 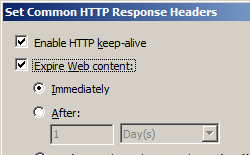 In the Set Common HTTP Response Headers dialog box, check the box to expire Web content, select Immediately, and then click OK.
Specifies custom HTTP 1.1 cache control directives. Does not add a Cache-Control or Expires header to the response. Adds a Cache-Control: no-cache header to the response. Adds a Cache-Control: max-age=<nnn> header to the response based on the value specified in the CacheControlMaxAge attribute. 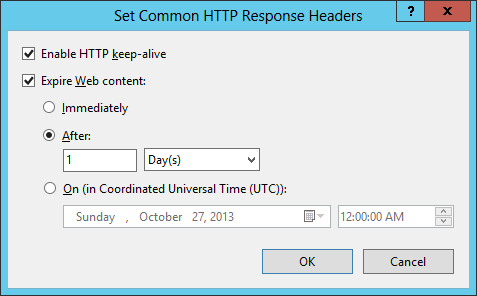 Adds an Expires: <date> header to the response based on the date specified in the httpExpires attribute. Specifies the date and time after which a page that is cached on the client is considered stale. (The date and time is formatted according to the specification in Request for Comments 1123.) The value is returned to the browser in the HTML file header. 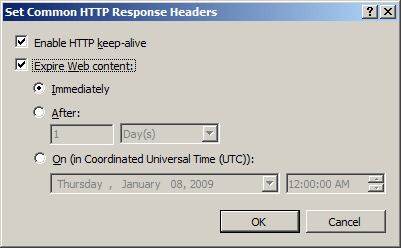 The user agent compares the given value with the current date to determine whether to display a cached page or to request an updated page from the server. 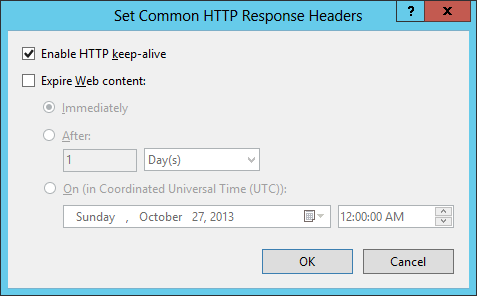 Specifies whether the HTTP ETag header is calculated and set. The ETag header is used for web cache validation, and enables a Web server to not have to send a full response if no changes have been made to the content. setEtag can be set in the Configuration Editor in the path system.webServer/staticContent. The following configuration sample adds an HTTP "Cache-Control: no-cache" header to the response, thereby disabling caching of requests. The following configuration sample adds an HTTP "Expires: Tue, 19 Jan 2038 03:14:07 GMT" header to the response, which configures requests to expire several years from now. The following code samples add an HTTP "Cache-Control: no-cache" header to the response, thereby disabling caching of requests. The following code samples add an HTTP "Expires: Tue, 19 Jan 2038 03:14:07 GMT" header to the response, which configures requests to expire several years from now.